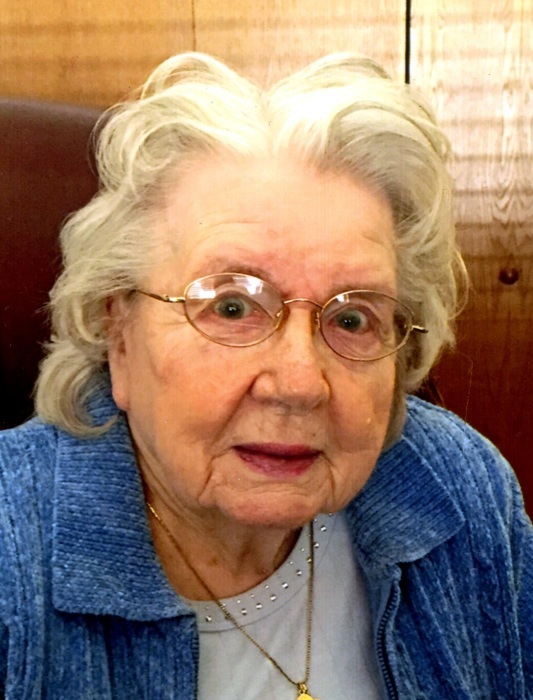 Grace Ann Larsen, age 95 of Rochester and formerly of Winona, passed away peacefully surrounded by family in Rochester, MN on Thursday, March 29, 2018. Grace was born April 3, 1922 in Fountain City, WI to Joseph Hugo and Theresa (Grossell) Rothering. There were nine children in the family and she was the seventh child. On January 27, 1941, she married Lester A. Larsen at Saint Joseph’s Catholic Church, Milwaukee, WI. They moved to Winona in 1945. Lester preceded her in death May 2, 1986. She was a member of the Cathedral of the Sacred Heart, Winona and the American Legion Auxiliary. She is survived by two daughters: LaVonne Carroll, Goodview and Lois Engle, Rochester; six grandchildren: Tim Carroll, Goodview; David (Melissa) Carroll, Morrison, CO; Michael (Tracey) Peter, Austin, TX; Leslie Ann (Kamal) Karam, Eagan, MN; Joseph (Angela) Peter, Eyota, MN; and Jayson (Amanda) Engle, Rochester, MN; eleven great grandchildren: Micah, Ellie, Jack, Ben, Lily, Katlyn, Jessica, Joseph, Nick, Caleb and Brianna; and other relatives. Mass of Christian Burial will be 10 a.m. Tuesday, April 3, 2018 at the Cathedral of the Sacred Heart, Winona. Visitation will begin at 9 a.m. at the church. Entombment will be at St. Mary’s Cemetery, Winona.